Your Resume – You may be Superman, or Wonder Woman, in person but that is not the first impression of you that the hiring manager is going to get. It’s what you present on paper that matters here and if it doesn’t grab them in approximately 30 seconds, all hope is lost. Your resume should be clean of errors in both spelling and formatting and should be targeted to each position that you are applying for. You should make it memorable by, not only listing your past accomplishments, but giving some good detailed examples of your strengths and what you’ve achieved. Your Attitude – If you are getting past the resume review and on to the interview stage, check your enthusiasm level. Job searches can be tough but you’ll need to reach down and pull out that enthusiasm for the company and the position when you interview. Also, check any negativity for past positions and employers at the door. There’s no place for this in the hiring process at all. If you have any negativity portrayed about this stuff online, get rid of it. Your References – To many, this is an afterthought. It shouldn’t be. Consider that you may have gotten to the final step with a prospective employer for a drug and alcohol counselor job and then they move on to your reference check. If it is stuffed with just family and friends, this can be telling. Also, if they are not current and the references haven’t seen or heard from you in over 10 years, they may not even be reachable. Finally, when you are looking for a job, be sure to let your references know so that they can also be prepared for potential contacts. The Interview – Aside from attitude at the interview, there could simply be the issue of a lack of preparation or failure to sell yourself. It’s not the hiring manager’s job, most of the time, to sell you on coming to work for the company. You are generally there to convey to them how your skills are the best fit for their open position and how you are a fit for their organization. If you aren’t prepared to speak to any of that, it’s going to be a short interview. 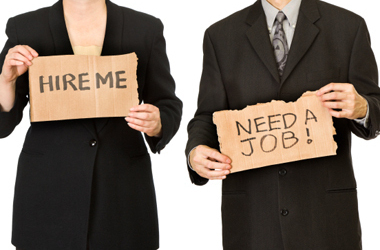 You’re Unemployed – This is so unfair but, unfortunately, true. 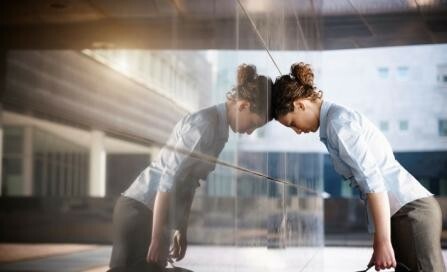 The old Catch-22 of “How do I get a job and experience when no one will hire me?” Sadly, it’s a reality that the stigma of being unemployed can hurt your viability as a job candidate for some positions. What can you do? If possible, don’t quit the job you currently have while searching for a new opportunity. If it’s too late for that, try to stay busy and even volunteer in your industry while doing your job search. Continuing your education is another viable idea as well. If your job search for that perfect drug and alcohol counselor job is going on longer than you thought it would, don’t despair. This is a thriving industry and perhaps a few tweaks to your resume, reference or interview tactics are all that are in order for you to turn that corner and land the next big opportunity that comes your way. Start searching our addiction jobs listings for more open positions now.